Custom Plastic Trunk Emblems | Sharp Performance USA Inc. Custom plastic trunk emblems. Custom shape and logo, with your pms color logo. 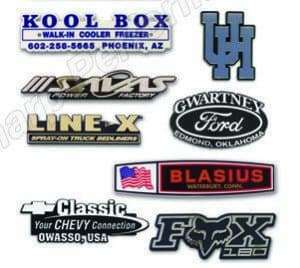 Proudly display your corporate logo on your customers cars, or in your fleet vehicles.